There is no shortage of art prompting visitors to whip out their phones for a quick photo or pause and stare at the Armory Show (8-11 March). Aside from the weather—a perennial talking point but especially so on Wednesday, as a nor’easter settled over the Atlantic coast, snarling traffic and dousing VIPs on their way to Piers 92 and 94—here’s what people were buzzing about on the fair’s opening day. “You have to be in the right place at the right time”, says the artist Berdnaut Smilde of his commission for the Platform sector, Breaking the Fourth Wall (2018), the centrepiece of the London-based Ronchini Gallery’s stand at the end of Pier 94. 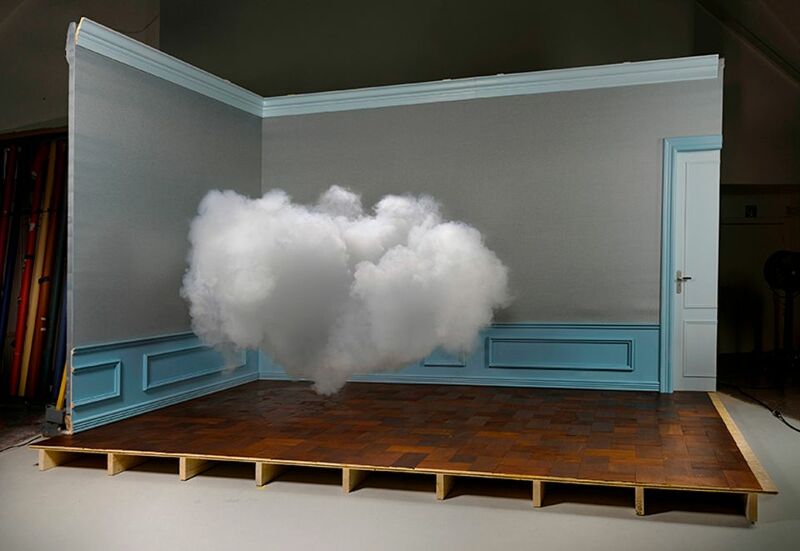 Approximately every 40 minutes, a concealed fog machine controlled by computer emits one perfectly puffy white cloud into the booth, which has been kitted out with wood floors and crown mouldings to resemble a classical European house museum or one of René Magritte’s interiors. Blink and you’ll miss it: the cloud floats upward and disperses into mist within a minute or two. “In-between moments really trigger me”, says the artist. 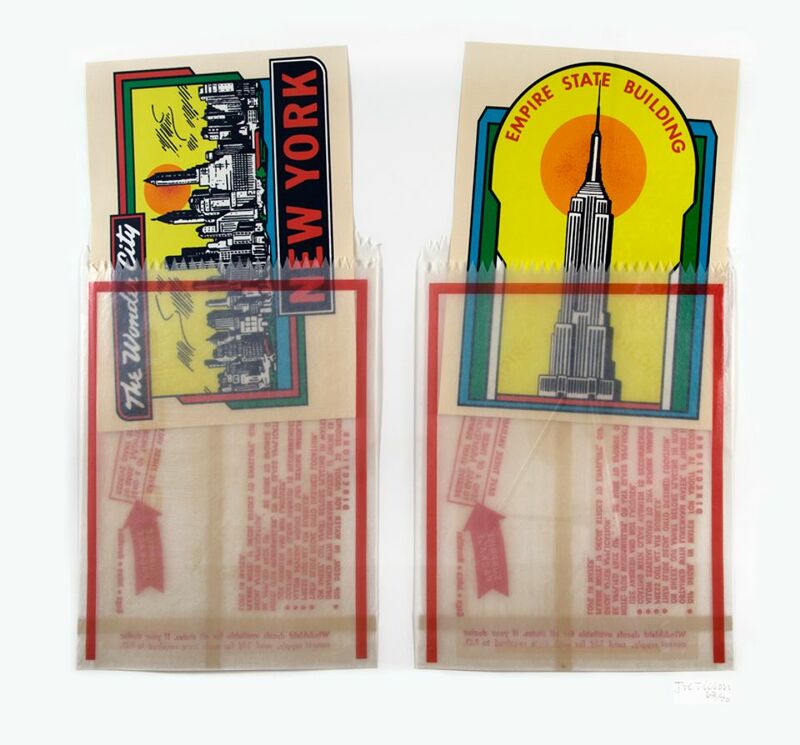 Smilde has mounted such cloud machines all over the world, but only once in New York, at Neuehaus last year; evidence of past presentations—in such spaces as a decommissioned electrical plant in Perth or a private museum in Shanghai–are documented in large C-prints on aluminium for sale on the stand. Furthering the theme of evanescence, Nimbus Powerstation (2017) is on offer for the price of one Bitcoin, worth between $10,888.42 at the high and $9,469.45 at the low on opening day. 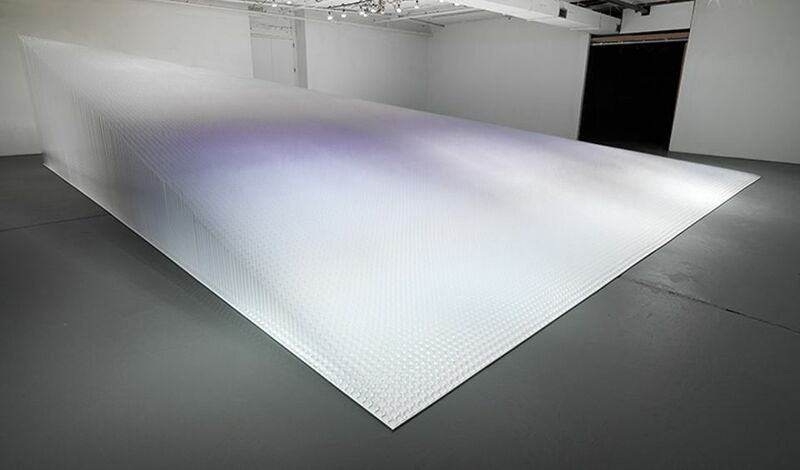 “I like the idea that it’s fluctuating, like the cloud”, Smilde says, “and also that it’s one to one”—one work of art for one virtual currency unit. Crowds milled around the stand of Mariane Ibrahim Gallery—who had a breakout moment at last year’s Armory Show, when the Seattle-based dealer won the first $10,000 Presents prize for her booth featuring the German-Ghanian artist Zohra Opoku—during the VIP preview, eager for a glimpse of the tantalisingly gilded works within. 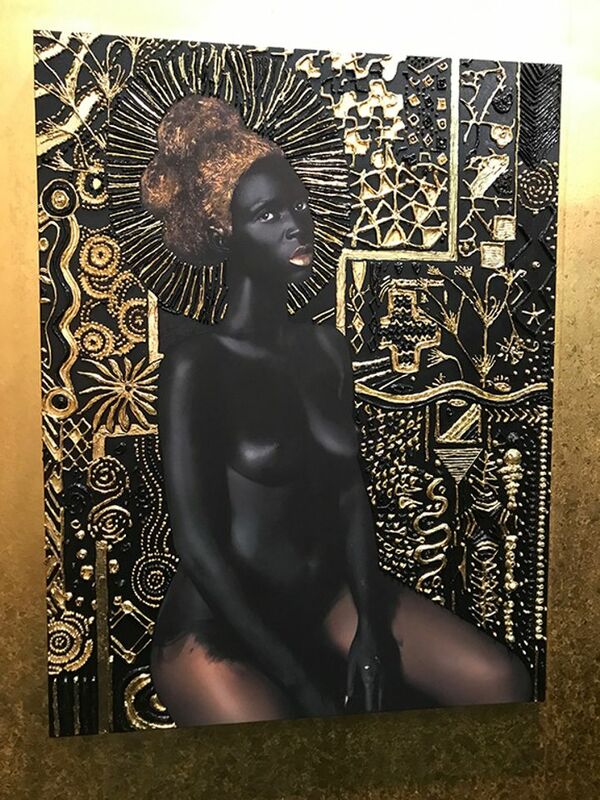 This year, Ibrahim is presenting a solo booth of works by the British-Liberian painter and performer Lina Iris Viktor, who has unveiled new works in her striking black-and-gold Constellations series 5/6 (2018), partly shielded by a mashrabiya-style sculpture. The works are, however, at the centre of a legal battle, and are cited as one of the reasons Viktor recently sued the hip-hop performers Kendrick Lamar and SZA for copyright infringement, claiming their music video All The Stars—a song from the soundtrack of the hit film Black Panther—is more than a mere riff on her Constellations cycle. The gallery declined to comment on the legal proceedings, but it was clear that many of the works' admirers were following the case. China’s Terracotta Army, an ancient platoon of life-sized warriors, has been on a blockbuster world tour, most recently on show at Philadelphia's Franklin Institute. 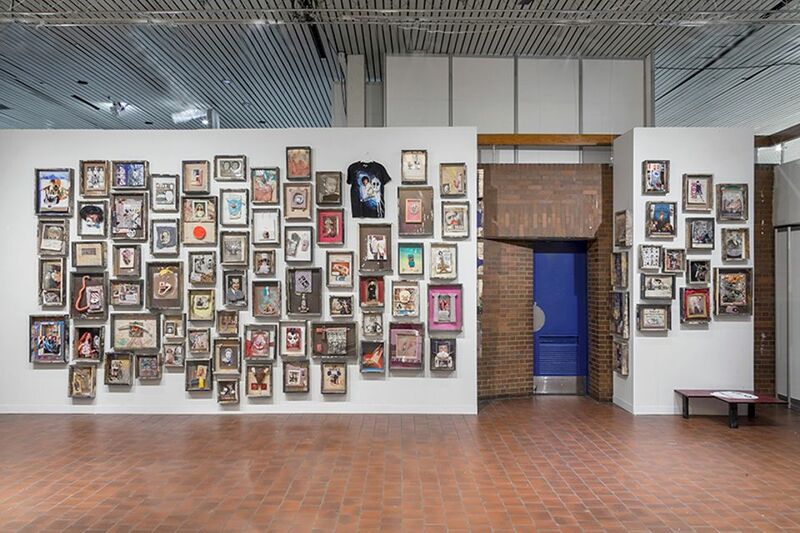 A miniature version—this one made up solely of female figures—is attracting curious glances at Galerie Daniel Templon on Pier 94. 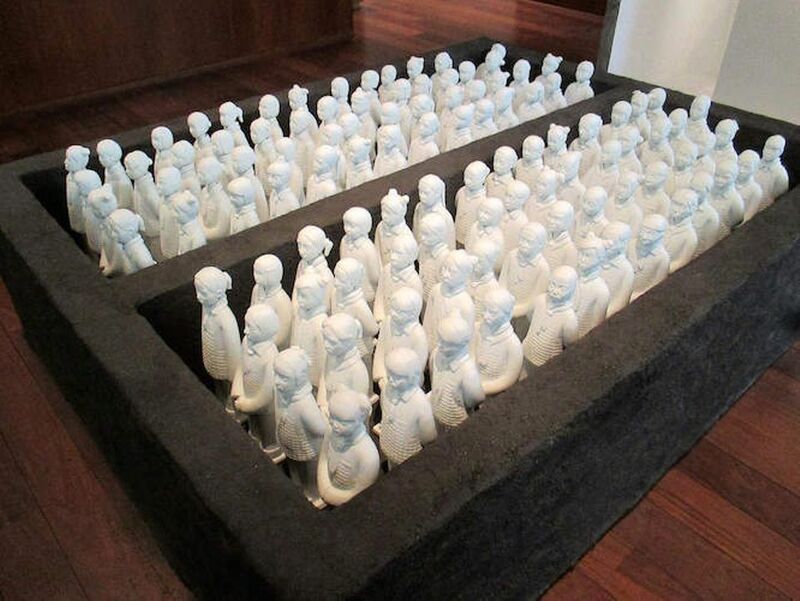 The Paris-born artist Prune Nourry's work explores China’s former one-child policy, abolished in 2015. To create her present-day redux, Nourry photographed eight young girls in rural China, where the policy had the most impact, as infant girls were often rejected and placed in orphanages. According to the gallery, “By combing the eight original moulds with the help of artistan-copyists, Nourry created 108 unique and hybrid terracotta sculptures… reminiscing of all the Chinese girls missing because of gender selection”.